RadeonSI Gallium3D has caught up to the fellow Intel i965 and Nouveau NVC0 drivers in supporting the OpenGL KHR_blend_equation_advanced extension. KHR_blend_equation_advanced provides extra color blending operations. Developers curious about the intricacies of KHR_blend_equation_advanced can find its documentation on Khronos.org. Following several commits to Mesa 18.1-devel Git on Tuesday by Marek Olšák, this extension was finally wired up for RadeonSI with this commit and now the third driver supporting it within Mesa. Why this extension is notable is that it's a requirement for OpenGL ES 3.2 compatibility. With this latest Mesa Git, it just leaves KHR_texture_compression_astc_ldr for RadeonSI to reach OpenGL ES 3.2 compliance. Though having native support for KHR_texture_compression_astc_ldr I don't believe is currently possible with the present Radeon desktop GPUs still lacking Adaptive Scalable Texture Compression support. But aside from ASTC, the RadeonSI driver is now largely rounded out for GLES 3.2. 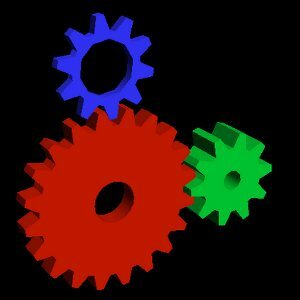 RadeonSI's OpenGL 4.6 support is also just around the corner once they get their NIR/SPIR-V code finished up.